Co-Optimus - Video - Are Overwatch's Bots a Fair Fight? Or Cannon Fodder? 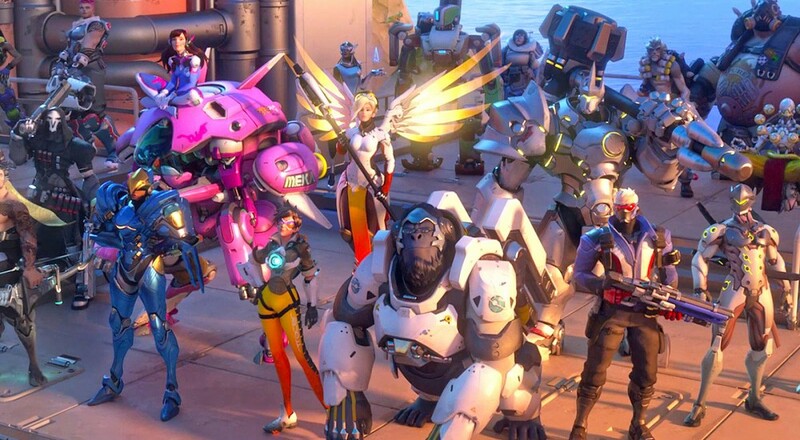 Overwatch came out early last month and was an instant hit for Blizzard. Combining colorful and fun to play characters with Team Fortress 2 style objective gameplay in a 5 vs 5 team setting instantly hooked players. For folks not wanting to jump into the competitive options, Blizzard created a dedicated co-op mode against the AI. It's basically comp-stomp co-op but it's a good way to practice playing characters. Last night we checked out the bots on both Medium and Hard difficulty to see just how much of a challenge they would be. Would it be a fair fight that felt like the trust multiplayer experience? Or would we see some pretty idiotic behavior? The short of it is this - on medium the bots were too easy and on hard they were too hard. Relentless even. You can watch our recap below. We're definitely hoping to see some sort of dedicated co-op mode come out in the future. The class based gameplay obviously lends itself towards this, and with such a deep universe being built around the characters, it makes sense that Blizzard would want to add some sort of further context to it.